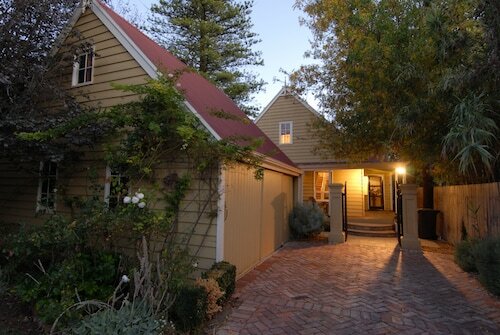 Situated in Tanunda, this hotel is within 1 mi (2 km) of Barossa Bowland and Peter Lehmann. Barossa Visitor Centre and Rolf Binder Wines are also within 3 mi (5 km). Tanunda Station is 28 minutes by foot. 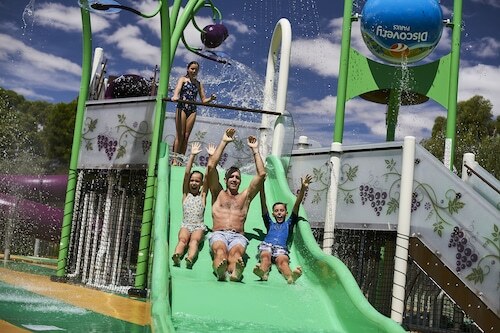 This family-friendly Tanunda campground is located in the historical district, within 3 mi (5 km) of Turkey Flat Vineyards, Barossa Bowland and Bethany Wines. Tanunda Pines Golf Club is 4.3 mi (6.8 km) away. Tanunda Station is 25 minutes by foot. 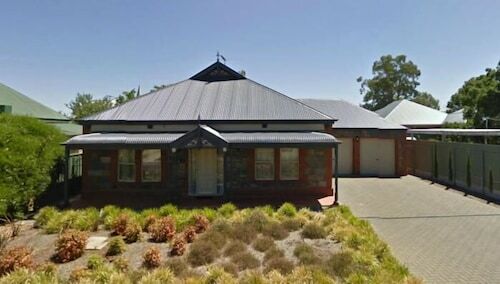 Situated in Tanunda, this inn is within 1 mi (2 km) of Barossa Bowland, Barossa Visitor Centre, and Peter Lehmann. Maggie Beer's Farm Shop and Barossa Farmers Market are also within 6 mi (10 km). Tanunda Station is 23 minutes by foot. 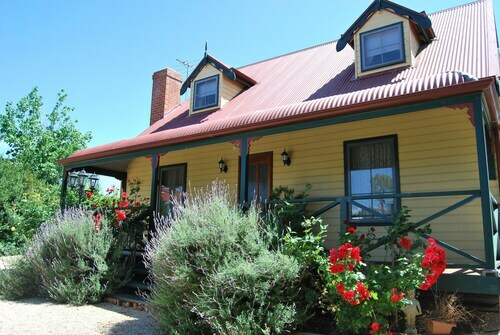 Situated in Tanunda, this bed & breakfast is 1.8 mi (2.9 km) from Peter Lehmann and 2.5 mi (4 km) from Maggie Beer's Farm Shop. Seppeltsfield and Hentley Farm are also within 6 mi (10 km). 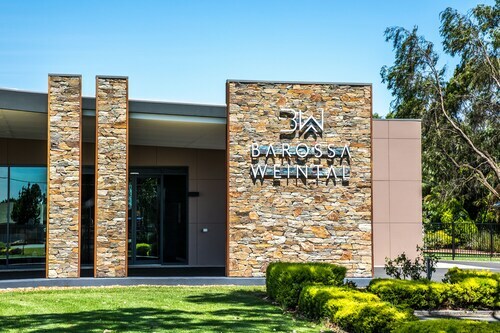 Situated in Tanunda, this luxury apartment building is within 2 mi (3 km) of Barossa Visitor Centre, Barossa Bowland, and Turkey Flat Vineyards. Peter Lehmann and Rolf Binder Wines are also within 3 mi (5 km). Tanunda Station is 11 minutes by foot. Located in the heart of Tanunda, this luxury vacation home is within 1 mi (2 km) of Barossa Visitor Centre and Barossa Bowland. Peter Lehmann and Turkey Flat Vineyards are also within 3 mi (5 km). Tanunda Station is 9 minutes by foot. Situated in Tanunda, this luxury bed & breakfast is within 2 mi (3 km) of Barossa Visitor Centre, Turkey Flat Vineyards, and Barossa Bowland. Peter Lehmann and Rolf Binder Wines are also within 3 mi (5 km). Tanunda Station is 9 minutes by foot. Situated in a shopping district, this luxury apartment building is within 2 mi (3 km) of Barossa Visitor Centre, Barossa Bowland, and Turkey Flat Vineyards. Peter Lehmann and Rolf Binder Wines are also within 3 mi (5 km). Tanunda Station is 11 minutes by foot. 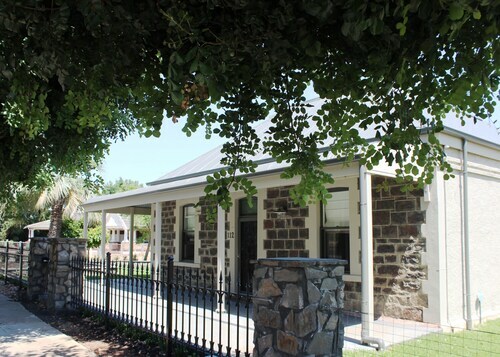 Picturesque Tanunda is one of the major towns of South Australia’s Barossa Valley, stay in the heart of this world renowned wine region with our Tanunda accommodation. Enjoy the laidback charm of old-world buildings and churches, like the magnificently restored Chateau Tanunda. Built in 1890 and surrounded by beautiful landscaped gardens the Chateau is the perfect place to relax with a glass of wine. The early German settlers of Tanunda have left a lasting impression on the region; you only have to stroll down the main street to find bakeries, delis and restaurants serving up traditional Deutsch fare. Treat your tastebuds while you stay in one of our Tanunda hotels, and then quench your thirst with a bottle or two of the regions finest. While you stay in a Tanunda hotel you will find yourself completely surrounded by rambling vineyards and first class wineries, no matter which way you wander along Tanunda’s leafy streets a cellar door awaits. How Much is a Hotel Room in Tanunda? 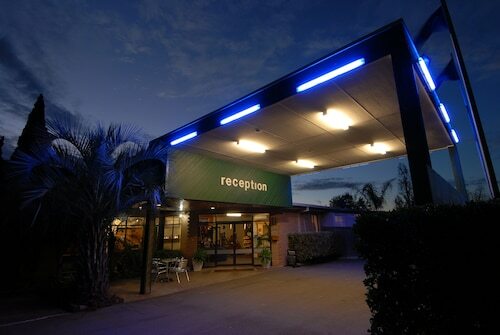 Hotels in Tanunda start at AU$78 per night. Prices and availability subject to change. Additional terms may apply.